Teen volunteer opportunities that might be meaningful to your teen might be difficult to come across. http://www.volunteermatch.org/ is a great site that helps match volunteers with different causes that might be of interest to them. It then goes a step further to show specific nonprofit volunteer opportunities. It is a great idea to get your teen volunteering as early as possible and finding something that they connect with will give the opportunity to make it an even more meaningful experience for them. Explore with them what causes they are passionate about and search for that specifically. If they aren’t sure what they would like to do, browse the site to see what opportunities are out there. 1. Increase empathy: seeing the struggles that other people go through firsthand can open their eyes to see things from another perspective besides their own. Teens who help others also feel better about themselves. 2. Responsibility: volunteering can be the first time that your teen has the chance to see what a job might be like, what it is like to be accountable for their time. Research also shows that teens who volunteer are more likely to do better in school and less likely to engage in risky behaviors. I think this is because it teaches teens to be responsible. 3. Give them something to put on a resume: this can help lead to a job in the future. It can also go on their college applications. 4. 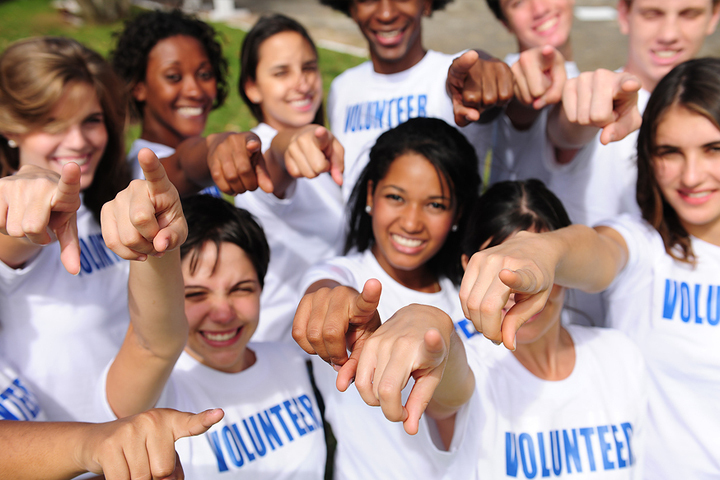 Help others in the community: other organizations and people will directly be affected by your teen helping out! Volunteering as a teen can help your teen grow professionally and personally – it’s never too early to start!